Natural Health News — New evidence suggests that lemon balm could be a safe and effective treatment for hyperlipidemia. Hyperlipidemia is an umbrella term that refers to high level of lipids (fats, cholesterol and triglycerides) circulating in the blood. Left untreated it is a risk factor for cardiovascular disease. The current treatment options for hyperlipidemia – such as statins – are not always effective and are often associated with adverse side effects. This Iranian study, published in Complementary Therapies in Medicine, was conducted at Ansari Hospital in Tehran between January and July 2014. It involved male and female patients (age range, 25-65 years) with borderline hyperlipidemia defined as: serum total cholesterol, 200-260 mg/dL; low-density lipoprotein (LDL), 100-160 mg/dL; and serum triglycerides, 150-300 mg/dL. Patients were excluded if they were smokers, had any health conditions/complications, were intolerant to lemon balm, or consumed any medications that would interfere with the outcome of the study. » Treatment of hyperlipidemia can involve pharmaceuticals, such as statins, that come with a host of adverse effects. » There is some evidence that lemon balm (Melissa officinalis) may be a safer and more effective treatment alternative. » In this Iranian study 1000mg of a powdered lemon balm supplement over 2 months, significantly reduced levels of LDL cholesterol and AST – a enzyme associated with liver damage. The 64 patients were randomly divided into two different groups and instructed to consume 2 capsules containing 1000mg of lemon balm leaf powder (Melissa officinalis) or a similar dose of a placebo (starch powder) each a day, after consuming a meal for a period of two months. They were told not to change their diet and to avoid increased physical activity and taking other similar products during the study. At the end of the study, LDL (‘bad’) was significantly decreased in the lemon balm group and significantly increased in the placebo group. In addition, the ratio of LDL to HDL (‘good’) cholesterol significantly increased in the placebo group, but not the lemon balm group. There were no significant effects on liver enzymes, with the exception of aspartate transaminase (AST) – an enzyme that is released when your liver or muscles are damaged – which was significantly increased in the placebo group, but not in the lemon balm group. For total cholesterol and high density cholesterol there were no significant difference between the groups. There were also no differences in triglycerides, fasting blood glucose, or body mass index. The outcomes of significantly lowered levels of LDL and the liver enzyme AST, compared to a placebo treatment, suggest that lemon balm supplementation is both safe and effective for patients with mild hyperlipidemia. 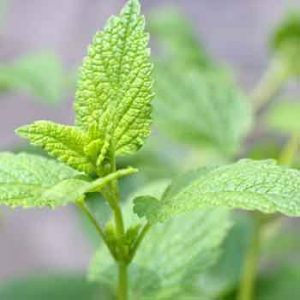 There were almost no adverse effects from the lemon balm – though one person reported headaches and one dizziness (one person in the placebo group also reported dizziness). The authors also suggest that larger and longer trials could help shed light on how lemon balm works, as well as confirm both its safety and efficacy in the treatment of hyperlipidemia. Could a cup of Earl Grey help fight heart disease?